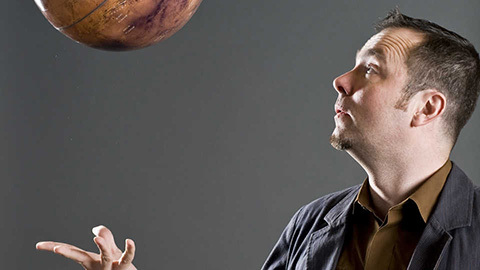 Ryan Wyatt assumed his role as Director of Morrison Planetarium and Science Visualization at the California Academy of Sciences (San Francisco) in April 2007. Prior to arriving in San Francisco, Wyatt worked for six years as Science Visualizer at the American Museum of Natural History in New York City; previously, he opened technologically-advanced planetariums in Phoenix, Arizona, and Albuquerque, New Mexico. Wyatt’s professional interests include making research data sets accessible to the general public, and developing standards and “best practices” in the fulldome video community. A paper co-written for Natural History magazine reflects on the role of modern planetariums in bringing cutting edge science to a variety of audiences, and his “Visualizing Science” blog provides an informal look at his ideas and opinions related to visual representations of science. Wyatt also indulges avid enthusiasms for archeoastronomy, the history of science, and intersections between art and science.